Take Action Fungicide Mode of Action Poster. Are you interested in learning more about field crop diseases? Do you want to understand fungicide and fungicide mode of action? Then these two updated resources might be useful for you. The Crop Protection Network website has been recently revamped and updated. 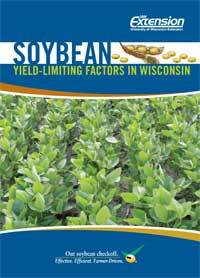 It includes detailed information on many field crop diseases. It also included videos and fact sheets. It is frequently updated and all information is from university, industry, and government experts. On top of that, all resources are peer-reviewed and un-biased. The second resource is the Take Action for Pesticide-Resistance Management website, which includes a set of resources for crop diseases fungicide resistance management. 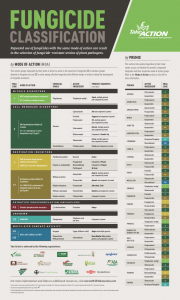 One popular resource has been the fungicide mode of action poster. You can download a PDF version by clicking here, or on the image to the left. In addition to our website, be sure to check these updated websites frequently for new tools and information. 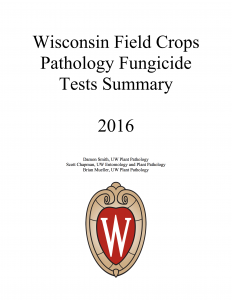 The 2016 Wisconsin Field Crops Pathology Fungicide Tests Summary is now available online as a downloadable PDF. 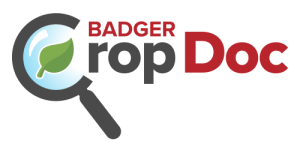 This report is a concise summary of pesticide related research trials conducted in 2016 under the direction of the Wisconsin Field Crops Pathology program in the Department of Plant Pathology at the University of Wisconsin-Madison. We thank many summer hourlies and research interns for assisting in conducting these trials. We would also like to thank Carol Groves, Jaime Willbur, Megan McCaghey, Bryan Jensen, John Gaska, Adam Roth and Shawn Conley for technical support. Mention of specific products in this publication are for your convenience and do represent an endorsement or criticism. This by no means is a complete test of all products available. You are responsible for using pesticides according to the manufacturers current label. Follow all label instructions when using any pesticide. Remember the label is the law! To download the current report, or past reports visit the SUMMARIES page by clicking here. 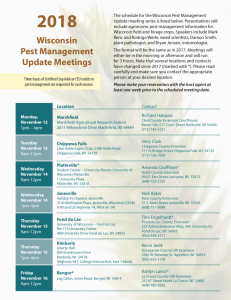 A3878 – “Fungicide resistance management in corn, soybean, and wheat in Wisconsin” was developed by the University of Wisconsin UW Extension and the Nutrient and Pest Management Program, and has been updated for 2013! Significant additions include small grains seed treatments now on the chart. In addition, all trade names and active ingredients have been brought up to date according to current pesticide labels in Wisconsin. 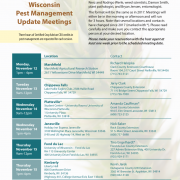 A hardcopy of the chart can be requested by email at npm@hort.wisc.edu. You can also download a PDF version by visiting the Nutrient Management and Integrated Pest and Crop Management Publications.  https://badgercropdoc.com/wp-content/uploads/sites/5/A3878-Image-300x230.jpg 0 0 damonsmith https://badgercropdoc.com/wp-content/uploads/sites/5/2018/05/bcd-color-300x153.png damonsmith2013-02-05 10:25:022013-02-05 10:25:022013 Update - A3878 - "Fungicide resistance management in corn, soybean, and wheat in Wisconsin"
Making timely decisions during the crop season can be the key to maximizing yields. These decisions include variety selection, planting date, when and which inputs to apply, calibrating planters for maximum yield; and managing seedling health, plant diseases, weeds, and other yield-robbing pests.